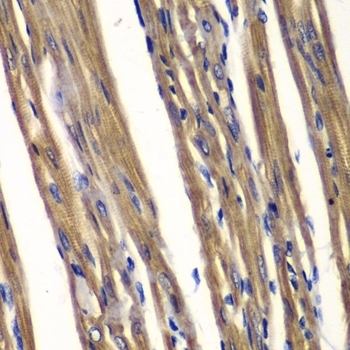 Rabbit anti PTPN2 antibody recognizes tyrosine-protein phosphatase non-receptor type 2 (PTPN2) also known as T cell protein-tyrosine phosphatase (TCPTP). PTPN2 belongs to the protein tyrosine phosphatase family and regulates many cellular processes including hematopoiesis, inflammatory response, cell division and glucose homeostasis. 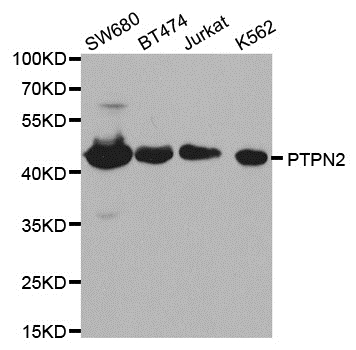 Antiserum to PTPN2 was raised by repeated immunization of rabbits with highly purified antigen. Purified IgG was prepared from whole serum by affinity chromatography.